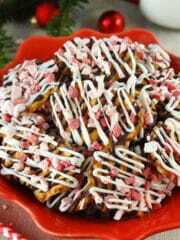 This Peppermint Pretzel Crunch is covered in semi sweet chocolate, white chocolate and Andes Peppermint Crunch Pieces! 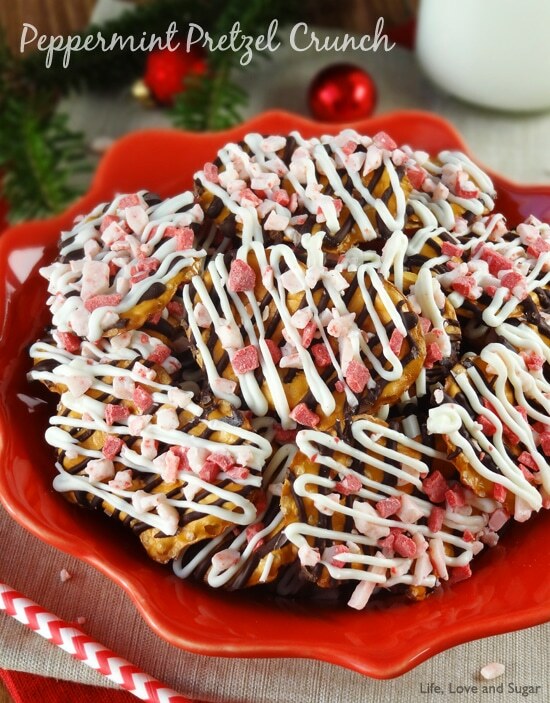 It’s a wonderful combo of sweet and salty and is a great snack mix for the holidays. It’s also quick and easy to make – even better! Things have been pretty busy for us around here trying to get ready for the holidays. Trying to get the house decorated, all the shopping. There’s never enough time! We finally got the Christmas tree decorated over the weekend when there was a break in all the rain we’ve been having. After getting it decorated – which is a very long process for me since I analyze the placement of every ornament like a crazy person – our tree literally fell over Monday night. Craziness! We were about to go to bed and I was getting all my stuff together to take upstairs and it just fell over. Right in front of me. Had I not just filled my arms full of stuff to take upstairs, I would’ve been able to catch it. Instead I screamed out and after a loud crash and the breaking sound of glass, the hubs came running out thinking someone was trying to break into the house, lol. It was quite a scene. Fortunately only one ornament broke, but the water from the tree went everywhere so it took a bit to clean everything up. I still haven’t gotten the ornaments that fell off back onto the tree. Instead I’ve been baking and writing for the blog. 🙂 It’ll probably get fixed over the weekend. I had to get the baking done though. 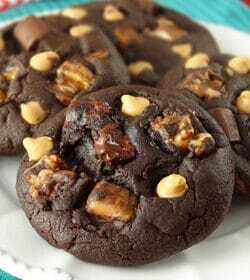 After posting about my Snickers Chocolate Cookies for the Food Blogger Cookie Swap on Wednesday, I had to finish up things for my box of treats for my recipient for Desserts for the Deserving. Have you heard of it? It’s a totally awesome event organized by Amanda from I Am Baker. She not only makes some totally awesome desserts, she also started Desserts for the Deserving in 2011. It’s all about people nominating someone who they think is deserving of a special sweet treat. Then people volunteer to bake treats for those nominated. The story of how it got started will make you cry – at least it made me cry. Read about it here and here. I’m so excited because this year I got to participate. I nominated someone and I volunteered to bake for someone. The person I nominated got her box last week and absolutely loved it. She didn’t know it was coming and it touched her so much. I couldn’t wait to get my box mailed so I could do that for someone else. 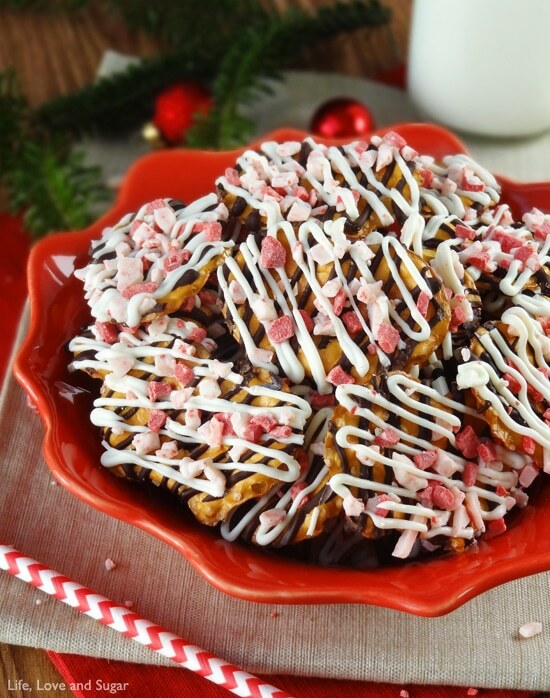 This Peppermint Pretzel Crunch is one of the things that was included. I’ll be posting the other stuff eventually, but this recipe is holiday flavored so I wanted to go ahead and share it. Like I said, it’s so easy to make. I used pretzel crisps instead of big, thick pretzels for a better chocolate/peppermint to pretzel ratio. I didn’t want the pretzel to overpower the peppermint or vice versa. And did I mention it’s easy to make? 1. Spread pretzel crisps out in a single layer on a large piece of parchment paper. 2. Melt semi sweet chocolate chips in a bowl in the microwave. Use 30 second increments, so you don’t burn the chocolate. 3. Pour melted chocolate into a piping bag with a Wilton 3 or 4 size tip, or use a ziplock bag with a small part of one corner cut off. 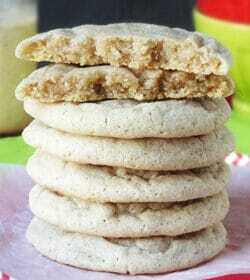 You could also just drizzle with a spoon, but the other method will give you more control. 4. 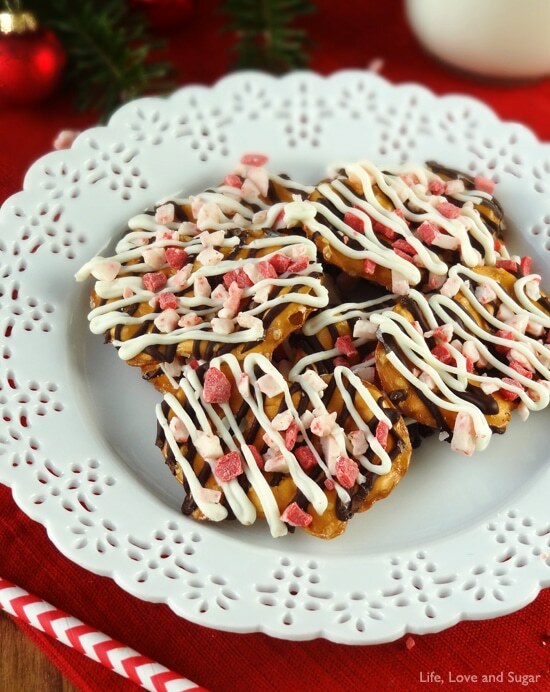 Drizzle crisps with chocolate. 5. 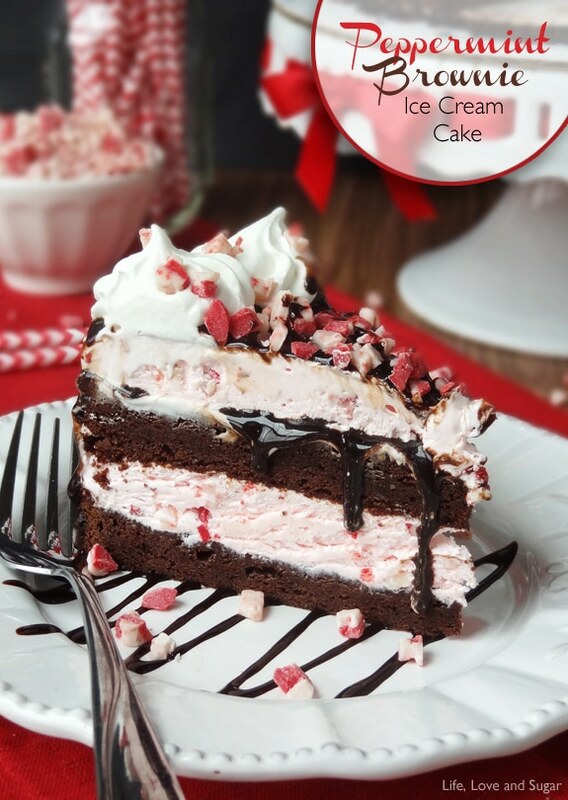 Sprinkle half of the peppermint pieces on the chocolate before it dries. 6. Melt the white chocolate using the same method as step 2. Then repeat steps 3-5. 7. Allow all of the chocolate to dry. This post linked to Tidy Mom, Inside BruCrew Life, Pint Sized Baker, This Gal Cooks, I Should Be Mopping The Floor, Thirty Handmade Days, Mandy’s Recipe Box, Kleinworth & Co., Simply Sweet Home, Shaken Together, Table For Seven, Simple Living and Eating, Walking on Sunshine and Rattlebridge Farm. These look and sound so yummy, Lindsay! I love adding any kind of chocolate to pretzels. You’re right, the salty and sweet and perfect together. Can’t wait to try them out. Thanks so much for sharing. Have a great weekend! LOVe the crunch and wish I could try some right NOW too! You are so amazing and creative and caring and talented. And I love you. AND salty-chocolaty goodness. 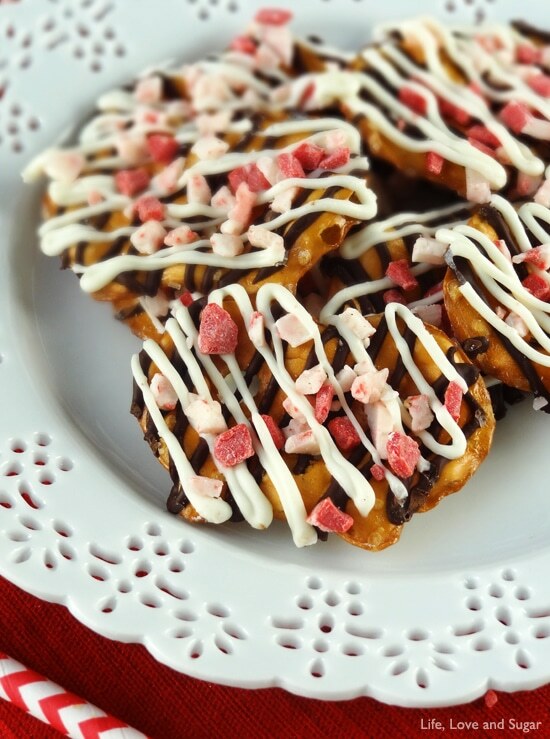 Can I just say that I have been craving holiday fun pretzels and then I saw this recipe? So I’m in major love! Looks amazing! It was fate! 🙂 Thanks Pamela! I’m glad you finally got your tree up, Lindsay! I ended up putting up a little table top tree rather than my big tree this year. But I love the little tree! These little treats are perfect. I really like that you used semi-sweet chocolate rather than milk chocolate. That makes these a huge WIN in my book! Pinned. Thanks for sharing at Marvelous Mondays! Oh… I can say relate. One year my childhood cat decided to pull on one of the ornament and it came crashing down and another year the tree didn’t fall but our new puppy got out of her kennel and tore down a dozen ornaments. Pieces all over the ground. Not fun to clean up. Does this look amazing or what? This looks like a terrific snack 🙂 Thanks for sharing. Wow, I know these taste good by the ingredient’s list,,, but I am overwelmed by how feastive they look. Really gorgeous. Thanks for your pretzel crunch to foodie friday. I seriously cannot get enough of those Andes crunch pieces! yum!!!! Will you get the same effect with regular pretzels and not pretzel crisps? I’m on a budget but want to make this! You could definitely use regular pretzels, there’s just not as much surface for the chocolate to stick to. 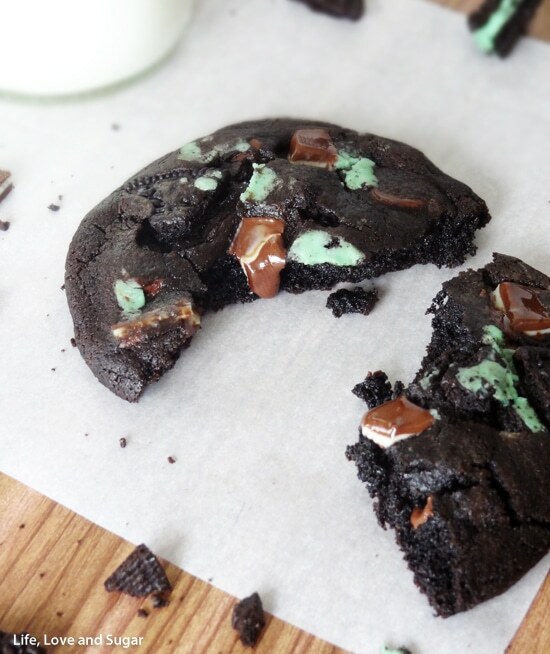 You could try dipping them in chocolate though and letting them dry.